Recently plummeting gas prices have become the trend, which is counter to normal price trends for this time of year. Last month’s November 1st marked the first day in 1409 consecutive days that that the national average was below $3.00 according to a the Times. December 1st the national average was $2.77 and experts predicts gas prices will continue to go down through December; some even predict gas prices under $2.00. There’s a lot of reasons why this is happening, but the short version is crude oil is being produced faster than needed creating a surplus. Plummeting gas prices is great news for consumers since ultimately that frees up money to spend elsewhere and makes driving less expensive. This is particularly great news for teen drivers since they no longer will need to spend their entire paycheck to fill up the gas tank. Early bird catches the worm – Many gas stations adjust their gas prices midday, so filling up earlier in the day tends to be cheaper. Plan ahead – Waiting to fill up your gas tank until it’s on empty means you’ll have to stop at the nearest gas station and rarely will that be the cheapest option. At half a tank you have time to locate cheap gas, so start thinking about refueling at that point instead of waiting to last minute. 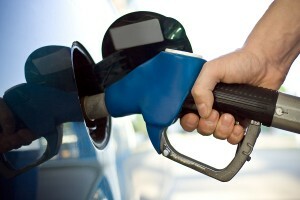 Days of the week – On a national basis gas prices are at their lowest Friday, Saturday and Sunday. Gasbuddy conducted a four year state-by-state study to figure out what day is best to buy gas for each state. Here are the findings from their study, check to see what day is cheapest for your state. Location is everything – Purchasing gas in downtown Chicago is going to be significantly more expensive than out in the burbs and gas from a station right off the expressway will be more expensive than one a few miles away from the expressway. Avoid location based inflated prices and get your gas when you’re in an area with lower priced gas. Pay with cash – Some gas stations offer a discount for paying with cash inside the station instead of paying with a card at the pump. This entry was posted in Top Driver Blog and tagged gas prices, How To, Tips.